Carole suffers from multiple health issues and is unable to work. For many years, she did not have access to a family doctor and had to rely on drop-in clinics to meet her increasingly complex healthcare needs. She often had to visit different clinics, and because she suffers from anxiety, this was yet one more stressful situation for her to bear. Carole has been a grateful client of The Mission’s Primary Care Clinic since its doors opened in 2007, and she visits at least once a month. “The service at The Mission’s clinic is incredible. The staff is very friendly and welcoming, and the care is wonderful. They all know me and my medical history, and they treat me with kindness and compassion. They have also given me referrals to other medical facilities for tests and follow-up treatment. At The Mission’s clinic, I know I’m getting the best possible care. I know everyone there and, for me, it’s my safe place,” says Carole. 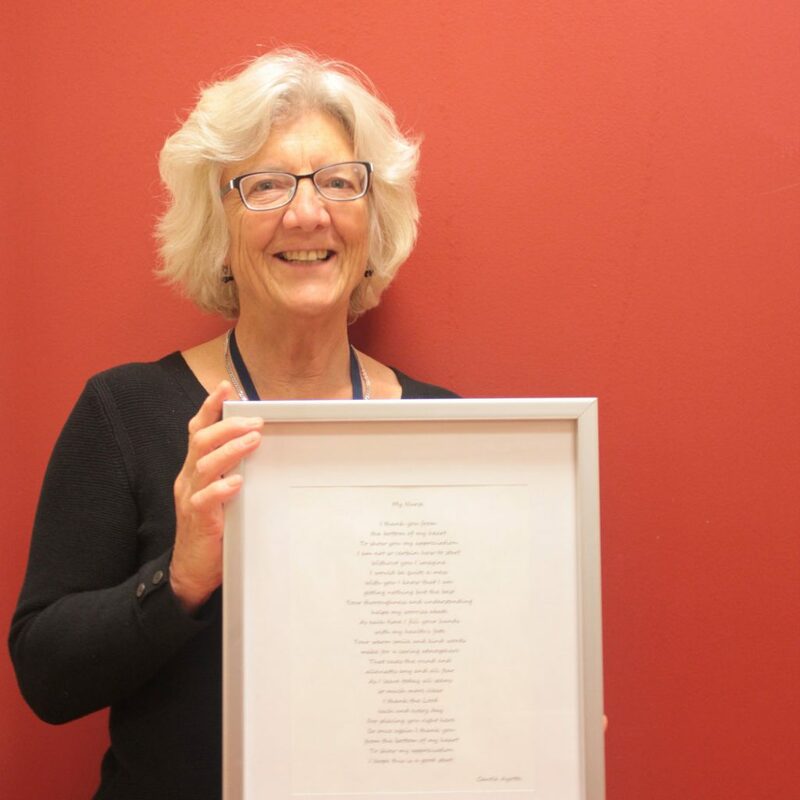 As an expression of her gratitude for all the help she has received at the clinic, Carole wrote a poem to her nurse – and we’d like to share an excerpt with you.